Lamole is a ragged valley of terraced vineyards, woods, and a sleepy hamlet of 35 habitants. It’s often called il tetto del Chianti, the rooftop of Chianti, for its altitude and removed position. Near Greve, it’s a favorite place of ours for a hike. No major roads run through the area, and even a shift in wind direction doesn’t bring road noise. 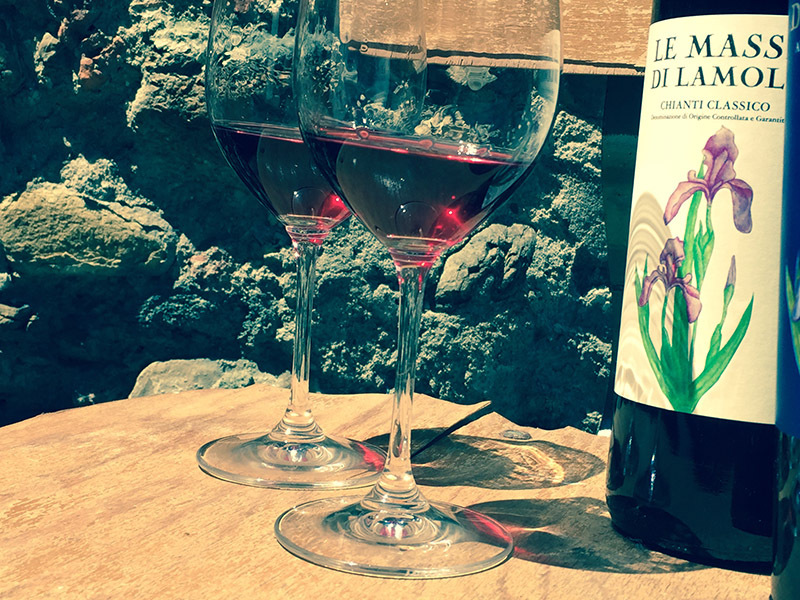 If you’ve become a disenchanted Chianti naysayer over the years, Sangiovese grown in Lamole’s high-altitude terroir may sweep you up and cause you to fall in love all over again. 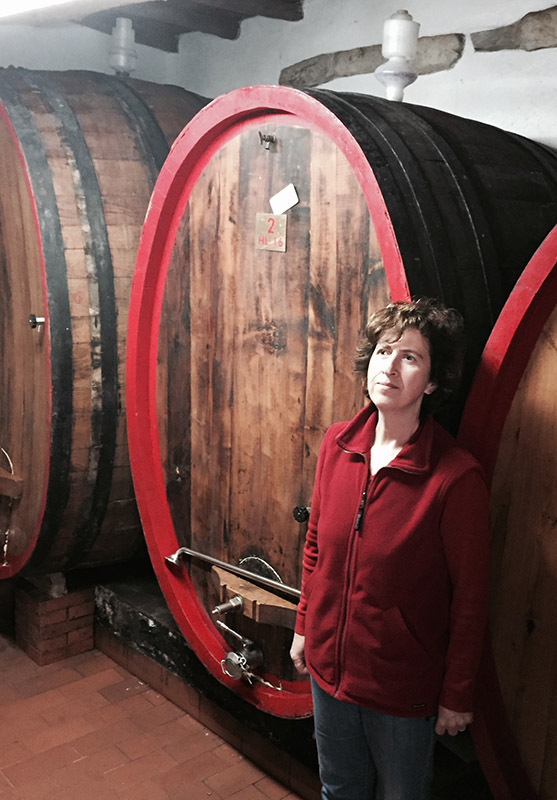 Taut fruit, complex minerality, and that classic leaping profumato Lamole nose of orange zest, flowers, and graphite – it’s a rather racy Chianti. And if you want the raciest (umm…ok!) 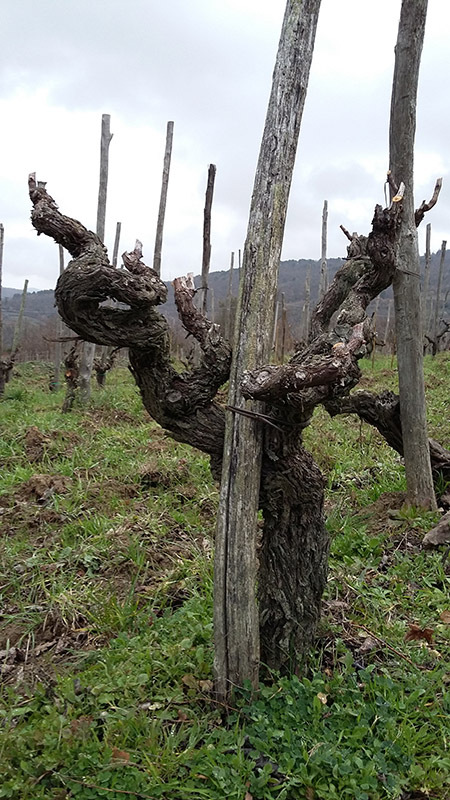 of the Lamole producers, head for the top of the valley where Le Masse di Lamole has some of Lamole’s highest vineyards around a medieval borgo. 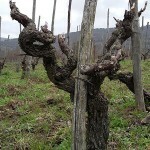 Sometimes I think owners Anna Maria and Giuliano worship Zeus, for their 100+ bush vines Sangiovese is electric. 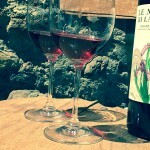 Or, as one of our wine friends said of the Le Masse’s wine,‘that stuff is like crack. Raciest of ’em all, crack like, lighting-Sangiovese! Yes, please! A very humble cellar is cut out of a the medieval wall. 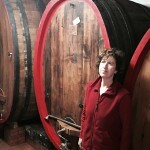 Vinification is done in steel without temperature controls, then botti di castagno (Chestnut – not Slavonian oak) of 15 and 25 HL that don’t have a manufacturer’s name since they were made by local artisans over 100 years ago. 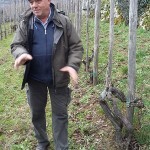 These local botti were scraped and restored by again in 2000. Lamole is a special area and there are few wines I wouldn’t want to drink there. But, I have to put an extra wink in for Le Masse. Maybe it’s just me and a perverse desire to swallow Sangiovese-lightning and live to tell about it. *Global warming continues to dramatically change what was once considered the prized growing areas. 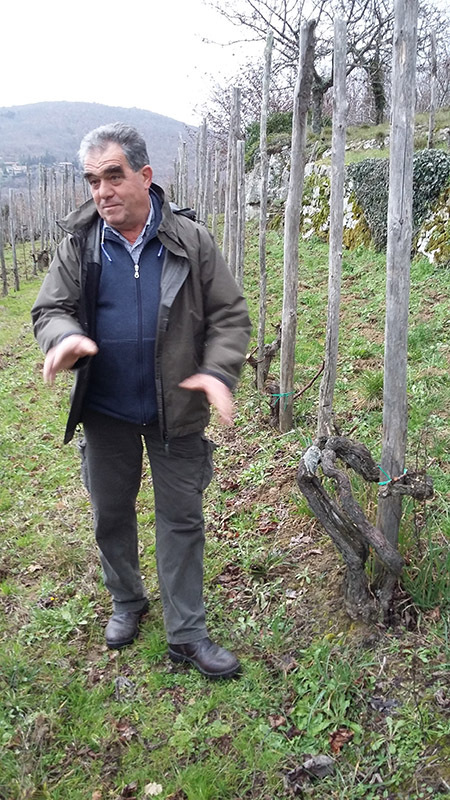 The nearby and famous Conca d’Oro of Panzano has to contend nowadays with too much sun, whereas Lamole, struggling with ripeness in some vintages in the past, is now producing excellent fruit more consistently thanks to warmer temperatures.